Posted on: July 31st, 2017	by Jennifer A.
I was honored to be invited to the #PixarCocoEvent, a Disney Pixar press junket for the Coco movie coming this November. As a guest, my expenses will be covered in return for a series of articles about my experiences. These were the opening lines of a very special email I received a few weeks ago. Those few words were all it took for me to know the rest of that email was going to be very exciting. As I read on I learned I was invited to join 25 other bloggers on a special Disney trip to San Francisco. We would see part of the Disney Pixar COCO movie and meet with those who are helping to create the movie. If that’s not enough, we’re also touring the Pixar campus and the Walt Disney Family Museum. I knew I just had to go! However, traveling during the summer, without your kids, isn’t always so easy to arrange. Thankfully, my community has drop-in camp options for working parents. With a few phone calls and some please honey please, I was ready to commit to another exciting Disney adventure, my second Disney press junket. With my first Disney press junket for the Beauty and the Beast film, (read more here) I was familiar with the film. But Disney Pixar COCO is different. 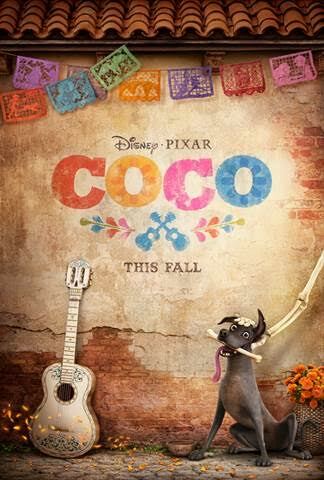 This newest Disney Pixar film is based in the Land of the Dead and the traditions and customs surrounding the holiday of Día de los Muertos. I admit I did not know much about this Latino holiday. BUT I am eager to learn. It’s one of the reasons I am so excited to attend the #PixarCocoEvent. Within days of accepting the invitation, my boys and I headed to the library. I was determined to check out all the children’s books about the Day of the Dead so we could learn more. The books were a great way to introduce me to a culture so rich with traditions and customs. I can not wait to learn more. While I’m away check out my list of children’s books about the Day of the Dead to get your kids prepared for the upcoming Disney Pixar COCO movie coming out this November. Keep reading to find out what we’ll be doing during the #PixarCocoEvent press event and how you can win some of the souvenirs I’m bringing back home. Here’s a brief look at some of the Disney & Pixar activities I will be up to while in San Francisco. I’ll list San Francisco time and New Jersey time so you can follow along with the #PixarCocoEvent on Facebook, Twitter, and Instagram. Keep reading for details about how following along and asking me questions can earn you some souvenirs from my trip. 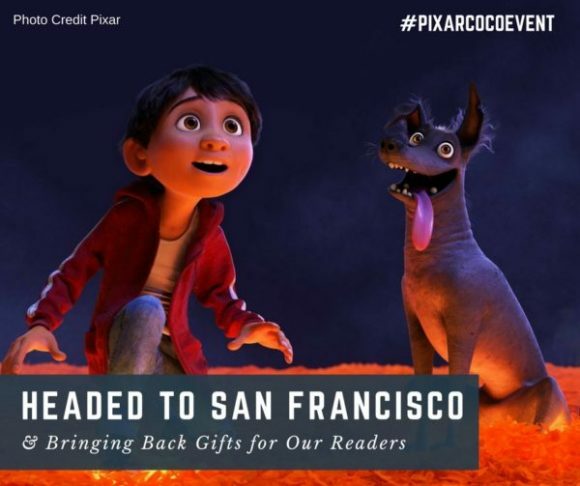 6:3o pm San Francisco time/9:30 pm New Jersey time ~ At the Pixar Animation Studios, we’ll screen footage from COCO introduced by Director Lee Unkrich, Writer and Co-Director Adrian Molina and Producer Darla K. Anderson. 7:15 pm San Francisco time/10:15 pm ~ Reception in honor of the Disney Pixar COCO movie. 9 am San Francisco time/12 noon New Jersey time. ~ We’ll return to the Pixar Animation Studios for breakfast before having a The Music of Coco demonstration with Michael Giacchino (Composer), Germaine Franco (Orchestrator), Camilo Lara (Consultant) & Adrian Molina (Writer and Co-Director). We’ll hear from Adrian Molina (Writer and Co-Director) and Dean Kelly (Story Artist) about how the COCO production team was inspired by research and specific cultural traditions, and how they infused them into their fantastical story set on Día de los Muertos. Harley Jessup (Production Designer), Danielle Feinberg (DP-Lighting), and Chris Bernardi (Sets Supervisor) will share how the expansive worlds of both the living and the dead were created in COCO through both research and imagination. Daniel Arriaga (Character Art Director), Gini Santos (Supervising Animator), Byron Bashforth (Character Shading Lead), and Emron Grover (Simulation Technical Director) will help us understand how the skeletons in the Land of the Dead were imagined, designed, animated and clothed. In the Land of the Dead, Miguel and his faithful companion Dante encounter not only his ancestors, but also their loyal guardian Pepita, a magical creature based on Mexican folk art. We’ll learn from Alonso Martinez (Character/Rigging Artist), Nick Rosario (Directing Animator), and Christian Hoffman (Characters Supervisor) about how those characters were created. 12:30 pm San Francisco time/3:30 pm New Jersey time ~ I’ll have lunch and shop in the Pixar store for the first Jersey Family Fun prize. 1:30 pm San Francisco time/4:30 pm New Jersey time ~ COCO press conference with Director Lee Unkrich, Writer and Co-Director Adrian Molina and producer Darla K. Anderson. 2:00 pm San Francisco time/5 pm New Jersey time ~ ALEBRIJES WORKSHOPS – We will learn about the folk art behind Alebrijes and see how the Alebrijes in COCO were brought to life. 3:00 pm San Francisco time/6 pm New Jersey time ~ We’ll have a brief tour of the Pixar campus. 10:00 am San Francisco time/1 pm New Jersey time ~ We’ll visit the Walt Disney Family Museum for a guided walk-through of the “Deja View: The Art of Andreas Deja” exhibit. *Andreas Deja was the Supervising Animator for “Scar” in THE LION KING which will be released on Digital and Disney Movies Anywhere, 8/15 & Blu-ray, 8/29. 10:30 am San Francisco time/1:30 pm New Jersey time ~ A tour guide will take us through the “Awaking Beauty: The Art of Eyvind Earle” exhibit. 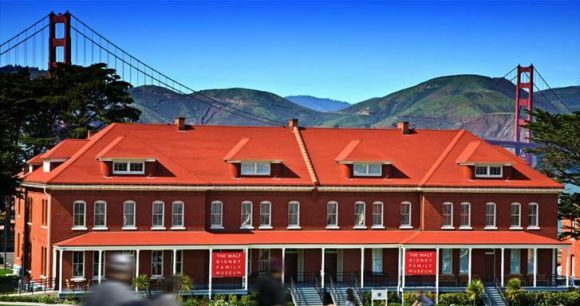 11:00 am San Francisco time/2:00 pm New Jersey time ~ We’ll explore the rest of the Walt Disney Family Museum during a guided tour. 12:00 pm San Francisco time/3:00 pm New Jersey time ~ Lunch will be held at the museum with shopping afterwards. This is when I’ll buy the second Jersey Family Fun prize. It will be a busy, yet fun few days. Now that you know what I’ll be up to, learn a bit more about COCO and then enter to win some souvenirs from my trip. Despite his family’s baffling generations-old ban on music, Miguel (voice of newcomer Anthony Gonzalez) dreams of becoming an accomplished musician like his idol, Ernesto de la Cruz (voice of Benjamin Bratt). Desperate to prove his talent, Miguel finds himself in the stunning and colorful Land of the Dead following a mysterious chain of events. Along the way, he meets charming trickster Hector (voice of Gael García Bernal), and together, they set off on an extraordinary journey to unlock the real story behind Miguel’s family history. Directed by Lee Unkrich (“Toy Story 3”), co-directed by Adrian Molina (story artist “Monsters University”) and produced by Darla K. Anderson (“Toy Story 3”). Disney·Pixar’s COCO will be in theaters on November 22, 2017. This Disney·Pixar’s COCO movie trailer was released June 7, 2017. Disney Pixar COCO opens in theaters on November 22, 2017. Are you reading to win some souvenirs from the Pixar store, the Walt Disney Family Museum store, and possibly some swag? Unless otherwise stated, entrants can earn a free entry by checking the first free entry box. You may earn additional entries by leaving one comment on the Jersey Family Fun giveaway/contest blog post, that answers the question(s) being asked during the timeframe of the contest. Comments that do not answer the question, while appreciated, will not be valid or count as meeting the requirement. Comments left after the giveaway/contest has closed will not be valid toward the contest. Contact information is a requirement for entry: name and a valid email address is required. Other non-personal information may be required/requested for entry. This information will not be shared with the giveaway sponsor unless it is stated in the contest/giveaway blog post itself. Our giveaways/contests are by no means sponsored by Facebook, Twitter, Pinterest, YouTube or any other social media platform. You may use them to earn additional entries, but you are not required to use them to enter. None of these social media channels are responsible if you don’t win. No purchase is ever necessary to win a Jersey Family Fun prize in an online contest. Chances of winning are dependent entirely on the number of eligible entries received. We will pick 2 winners. One winner will be mailed a Pixar prize from either the Pixar store or our Pixar swag. The other winner will be mailed a Walt Disney Family Museum prize from either the store or our museum swag. Winners agrees to provide contact and shipping information to Jersey Family Fun and/or the giveaway sponsor, including full name, address, phone number, and email address. One winner per household of any prize within a 30-day period. Once all entries have been validated, we will use Rafflecopter to select a winner. View our how to use Rafflecopter video here. Unless otherwise stated, giveaways and contests are only available to residents in the United States. Unless stated otherwise ticket and gift card prizes are only valid in New Jersey and for specific dates/performances. Void where prohibited by law. You have until August 5, 2017, at midnight to enter. The winner will be announced August 7, 2017. Please claim your prize by emailing us back your name and mailing address to Melanie within 24 hours. All prizes not claimed will either remain with the company sponsor or Jersey Family Fun to be used at a later date. After you’ve entered here be sure to check out our other current giveaways. Need help selecting family-friendly movies? 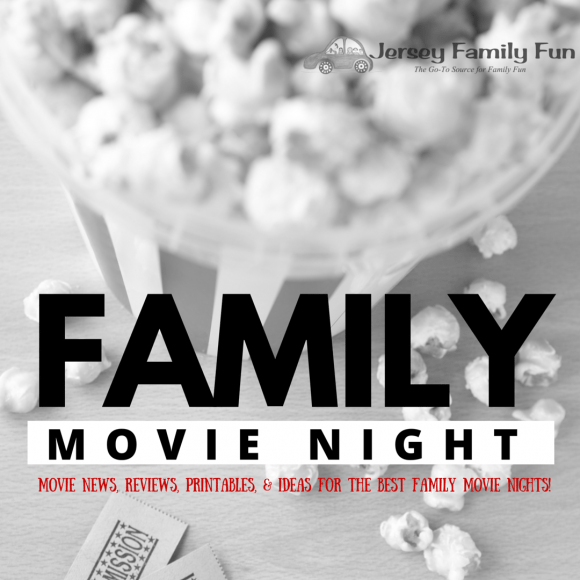 Visit Jersey Family Fun’s Family Movie Reviews series. Want to plan a fun family movie night? Visit our Family Movie Night series. 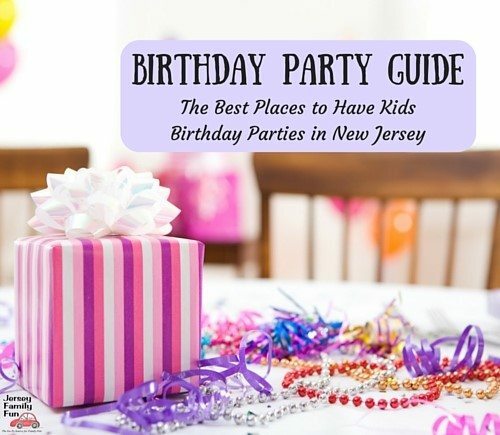 Jennifer Auer is the hyperlocal mom blogger who runs Jersey Family Fun. From New Jersey, this mom of 3 boys just can’t sit still! Her husband likes to say she’s a work-at-home mom who never stays home. Jennifer started traveling as a child and hasn’t stopped since. Instead of letting her husband and boys slow her down, she brings them along! Did you know that boys behave better when they are out exploring? As her boys transition from tweens to teens there’s still so many places she wants to discover with them both across the U.S. and internationally. She has been a Jersey Girl for 20+ years, and a Jersey Mom for 8+ years and a New Jersey mom blogger for 10 years, although she'd much rather be referred to as an influencer or just by name. She has a Bachelor of Science in Business Administration with a focus on Entrepreneurship from Bryant University in Rhode Island. I have never been to the museum. What’s your favorite thing about it? What other pixar movie is your favorite? What inspires your mind for work like this movie? I am trying to tweet , but I o not know how! Hope to win. Have a safe FUN FILLED TRIP!